Angela Locke is a poet, novelist and journalist, now living in Cumbria. A member of Society of Authors since 1984, her first book Mr Mullett Owns a Cloud, for children 8-12, was published by Chatto & Windus. Her novels/non-fiction/travel books (Souvenir, Sphere, Robert Hale etc) have been translated all over the world. Her novel, Dreams of the Blue Poppy, draws on the lives of the great plant hunters in the Himalayas and the history of Tibet. Angela spent many years researching, including four visits to the Himalayas, documented in her latest travel book On Juniper Mountain. Angela holds a Creative Writing MA in Poetry and Prose, and divides her time between writing, teaching Creative Writing and running International Writing Retreats. 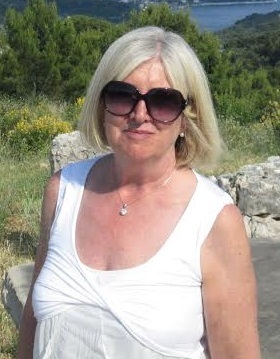 Angela was the Regional Editor of Cumbria magazine, and for 12 years the Walking Columnist for Cumbria Life. She is a winner of the Queens’ Award for English. She is the founder of the successful Maryport LitFest, Patron Melvyn Bragg, and of the international charity Juniper Trust, working in the developing world. Angela’s new novel for young adults, The Breaking of the Thunder Stone is about Daniel, a teenager growing up on a Cumbrian farm, facing the tough challenges which life throws at him in a crucial year of his life.